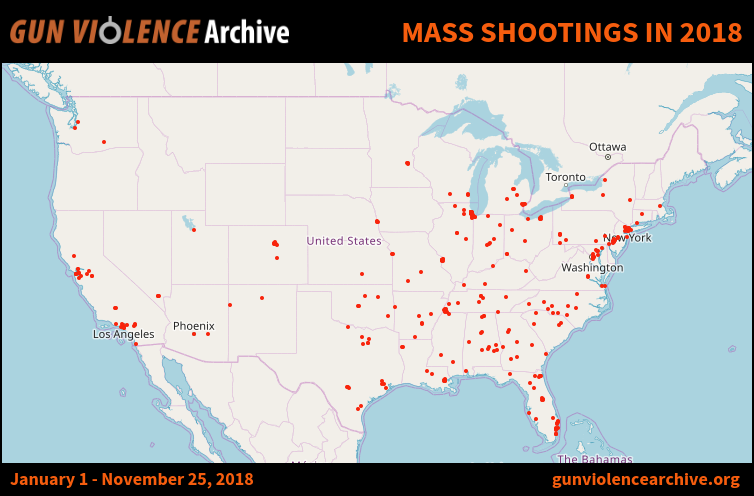 According to the Gun Violence Archive, there have been more than 330 mass shootings in the United States in 2018. That is, on average, nearly one mass shooting per day this year. This is a national crisis and we must find a way to end mass shootings. To put it simply, the mental health care system in the United States is broken. Many people with mental issues cannot get the help they need even when they are aware that they need treatment. If we improve our country’s mental health care system, we can give people the tools they need to cope with their illness without acting out violently. To quote the American Psychological Association: "Although it is important to recognize that most people suffering from a mental illness are not dangerous, for those persons at risk for violence due to mental illness, suicidal thoughts, or feelings of desperation, mental health treatment can often prevent gun violence. 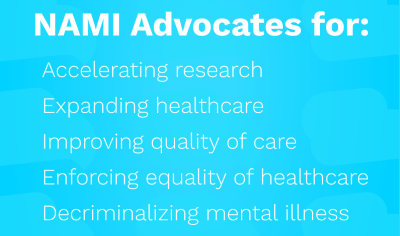 Policies and programs that identify and provide treatment for all persons suffering from a mental illness should be a national priority." Click “Make This Pledge” above to show your support for the National Aliance for Mental Illness and help stop these tragedies. You can pledge to donate as little as $0.10 to support NAMI whenever there is a mass shooting in the US. We are an association of hundreds of local affiliates, state organizations and volunteers who work in your community to raise awareness and provide support and education that was not previously available to those in need. 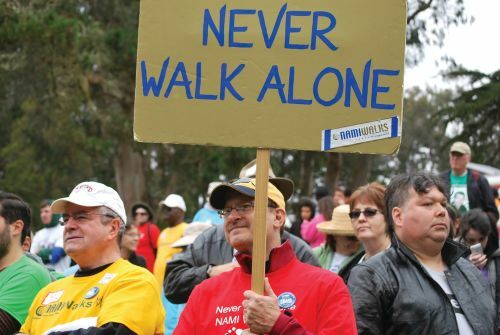 Public awareness events and activities, including Mental Illness Awareness Week and NAMIWalks, successfully fight stigma and encourage understanding. NAMI works with reporters on a daily basis to make sure our country understands how important mental health is.